a. BROADWAY GREENING (1964 LARKIN AT BROADWAY) – RHN has been working for several years to improve the environment around the edges of the Broadway tunnel by promoting and funding a range of landscaping projects. Recently RHN has been working with the owner of 1964-1968 Larkin St. at Broadway to provide planting along a strip of land along Broadway. This would alleviate a zone of blight and stark concrete along the southeast entrance to the tunnel, which has also attracted refuse and graffiti. DZLU recommended that the RHN Board issue a letter to Supervisor Peskin’s office supporting this project and seeking help expediting the assignment of a small parcel where this planting would occur from the jurisdiction of the City’s Real Estate Division to DPW so as to enable the landscaping work to proceed. b. PROPOSED NAVIGATION CENTER IN DISTRICT 3 – DZLU representatives had toured two existing Navigation Centers on 2/28/19 at 125 Bayshore Blvd and at the Central Waterfront, in anticipation of a proposal to locate a center in District 3 at Embarcadero and Kearny. Sunny Angulo, Aide to D3 Supervisor Peskin, also attended. Subsequently, the City abandoned this proposal as an inefficient use of space for a relatively small facility and now proposes a larger 200-bed facility at Seawall Lot 330 across from Piers 30-32. A number of neighborhood associations and residents adjacent to the site have raised objections and urge consideration of more industrial sites or other alternatives. DZLU members have much interest in following this issue. 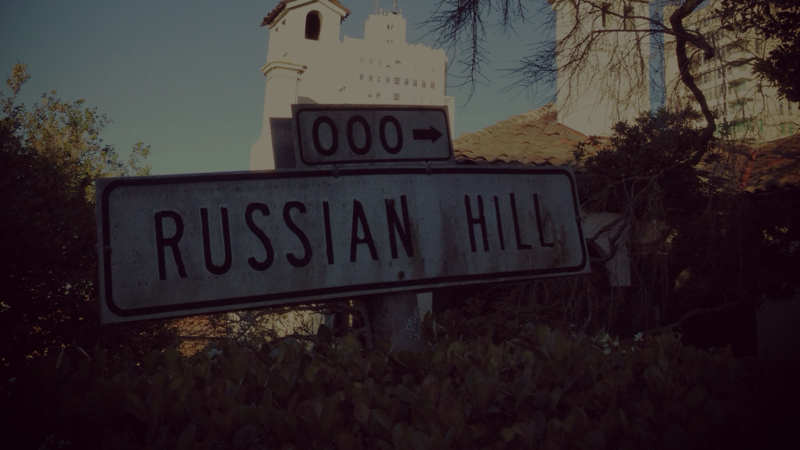 However, DZLU would consider making recommendations only on a case-by-case basis, and generally when there are clearer direct impacts on District 3 or Russian Hill. a. VACANT STOREFRONT REGISTRY AND POSSIBLE VACANCY TAX – The Board of Supervisors has strengthened the vacant storefront registry requirements. Registration including a $711 fee is required within 30-days of becoming vacant. Failure to register incurs a penlty of 4 times the fee. An annual report confirming property’s code compliance is also now required. Supervisor Peskin may propose a November ballot measure to enact a $250 per day tax on commercial (and residential) properties vacant longer than 6 months. In a separate matter, our Local Businesses chair and DZLU member organized a highly successful Merchant Mixer on 3/20, with over 40 participants, to inspire growing participation by RH merchants in RHN and the Polk District Merchant Association. 1. Require an applicant who satisfies the requirements of SB 50 and any other bonus program, to elect those benefits under only one of the enactments so as to avoid double dipping. Compounding the height bonuses that are available through Home-SF as well as through the existing state bonus program, on top of this proposed program, is a serious concern. It could result in abrupt and inappropriate scale changes. 2. Eliminate the inclusion of the San Francisco cable car lines and the F historic trolley line from the definition of “major transit stop”, as these are not in any way commuter forms of transportation. 3. Ensure that the application of a local government’s design guidelines are preserved, and include the local government’s ability to sculpt buildings through reasonable top-level setbacks or other mechanisms to mitigate the scale of such projects. 4. Ensure that a local government’s demolition restrictions apply to its historic districts. 5. In order to strongly enforce the seven-year rental exclusion, require representation under oath that all requirements have been met, with substantial penalties for misrepresentation, or include comparable strong enforcement mechanisms. 6. Include a sunset provision providing that if any city meets its allocable share of housing during the applicable period established by the regional association in which the city is located and/or implements other measures the state may approve, such as rezoning of RH-1 districts to a higher allowed density (minimum RH-3), SB 50 will then sunset and a city’s control will be reinstated. DZLU has prepared a draft letter to the bill’s authors and to our local representatives to convey these concerns. As the bill is moving quickly to a senate committee vote as early as 4/2, the plan is to review this at the Board meeting for its review and action on 4/1. c. UNDERGROUNDING OF UTILITIES – SFCUU will be meeting with DPW, who has issued a $125,000 contract with Telamon Engineering Consultants for a preliminary master plan study to underground utilities. This four-month study will also look at potential financing options. SFCUU representatives continue to contact Supervisors for their support and to advocate that additional funding be budgeted for a complete Master Plan that may cost up to $3 million. If the City were to take over power provision from PG&E, other approaches to financing undergrounding such as a fee may be explored that may not require a 2/3 public vote. d. RESIDENTIAL DEMOLITION CONTROLS — Supervisor Peskin anticipates submitting a new version of his proposed ordinance in mid-April. e. VAN NESS CORRIDOR NEIGHBORHOOD COUNCIL –- VNCNC received an update on 3/5/19 regarding 10 South Van Ness, a 984-unit residential project. Discussions focused on the proposed building’s scale and materials and how they relate to the surrounding context, and on the experience at street level. Also discussed was the SOMA Community Benefit District, which was recently approved by surrounding property owners and is now the largest CBD in the City, comprising approximately 3,000 parcels. f. SF ROOF DECK POLICY – Planning has prepared an update to its standards and procedures on residential roof decks, effective 4/5/19, reflecting input received after its prior presentation to the Planning Commission on 8/30/18. They will make an informational presentation to the Commission on 4/4/19. Projects may receive over-the-counter review if they do not exceed 500 sf and include front and side setbacks of at least 5 feet. If the proposal exceeds these thresholds, it will undergo review by the Residential Design Advisory Team.